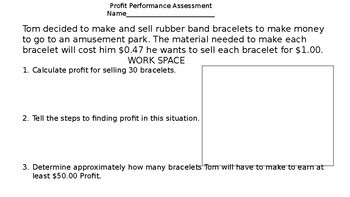 This PA can be given to students to complete independently after they learn about profit. TEXAS TEKS oriented. This is an Editable Product.